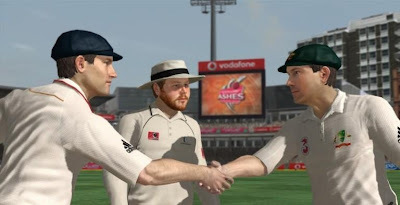 Ashes Cricket 2009, as the title suggests, isn’t a game that’s targeted directly at the Indian audience, but more towards England and Australia, who are currently doing battle in the Ashes series in England. 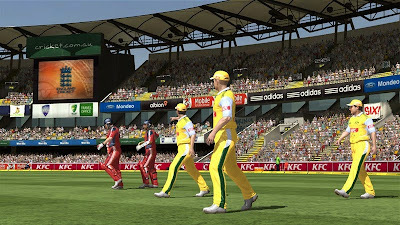 But this is cricket, so whether or not it targets us, Indian gamers will definitely sit up and take notice, because, you know - cricket is a religion in India. 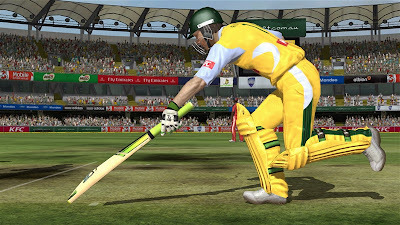 And sit up and take notice we should, because for all its faults, this is probably the most balanced and enjoyable cricket game ever made. 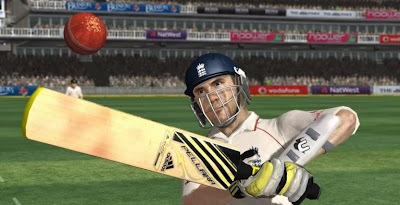 Most cricket games in the past have got batting right, and Ashes does too, by making shot-selecting easy and intuitive, but still giving the player enough control over stroke play. But where Ashes excels over past games is by nailing the bowling side of the game, meaning that no more will you quit matches once you’re done batting, because bowling and doing it well is just as fun as piling up the runs. You have complete control over your batsman. You can play off the front or back foot, you can move around the crease, come down the wicket, and play defensive, offensive and lofted strokes. That means that you can pretty much negotiate anything the bowler dishes out, and the challenge comes in picking the right stroke and timing it just right. How well you’re able to time a delivery depends on your batsman’s skill as well as confidence level (more on the confidence bit a little later). You also have the ability to play all around the wicket, but you can also be dismissed in every way conceivable. 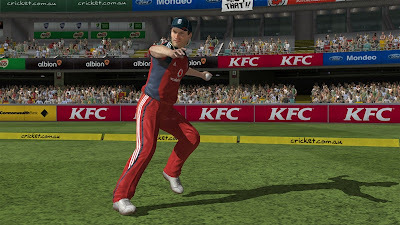 Running between the wickets works well for most part but there are way too many bugs that plague the running system. Bowling can feel a little punishing at first, but you will soon realize that it’s all about consistency and perseverance, particularly in the longer formats. You will need to take care of four factors to get each delivery right – delivery selection, placement, power, and amount of movement. Just choosing between in and out swing isn’t enough. Pitching the ball in the right area and deciding exactly how much the ball should swing is the key to picking up wickets. Fielding is perhaps the least impressive areas of the game. The confidence meter plays a vital role in both batting and bowling. A confident batsman is more likely to time his strokes as intended, while a hesitant batsman would edge and miscue his strokes. A confident batsman is more capable of negotiating subtle variations in pace and movement, which a batsman new to the crease may be susceptible to. In bowling, besides adding special deliveries to the bowler’s repertoire, confidence helps in better placement, and makes it easier to hit the sweet spot on the delivery meter. It’s a neat system, although confidence feels more important while batting than bowling, and the difference between a high and low confidence player are far more apparent when batting. 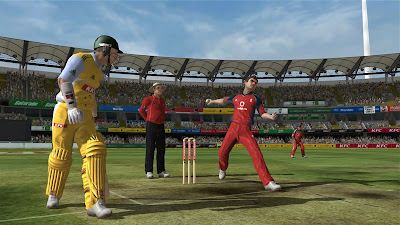 There is a fairly comprehensive tutorial and you also have modes like Test matches, ODIs and Twenty 20s. 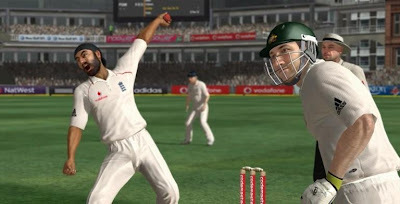 There’s no doubt that Ashes Cricket 2009 is the most complete cricket game yet. It’s well balanced, and it’s the first game to finally get bowling right. 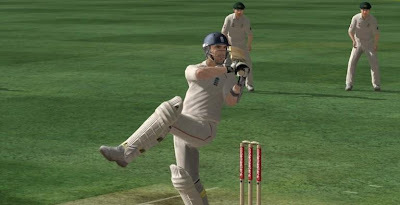 The terrible running between the wickets in the PC version ruins the experience a bit, but against human opposition, many of the game’s faults disappear. This is a great platform to build future games on because the core mechanics are solid, but there are too many little bugs and niggles here that keep it from being the great game it very well could have been. 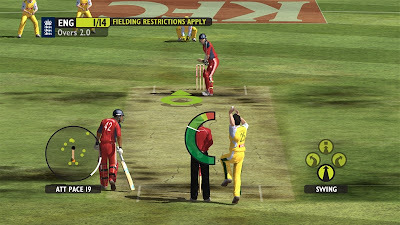 There’s still a long, long way to go before cricket games can compete with the likes of FIFA and NHL, but with Ashes Cricket 2009, we’re certainly moving in the right direction.